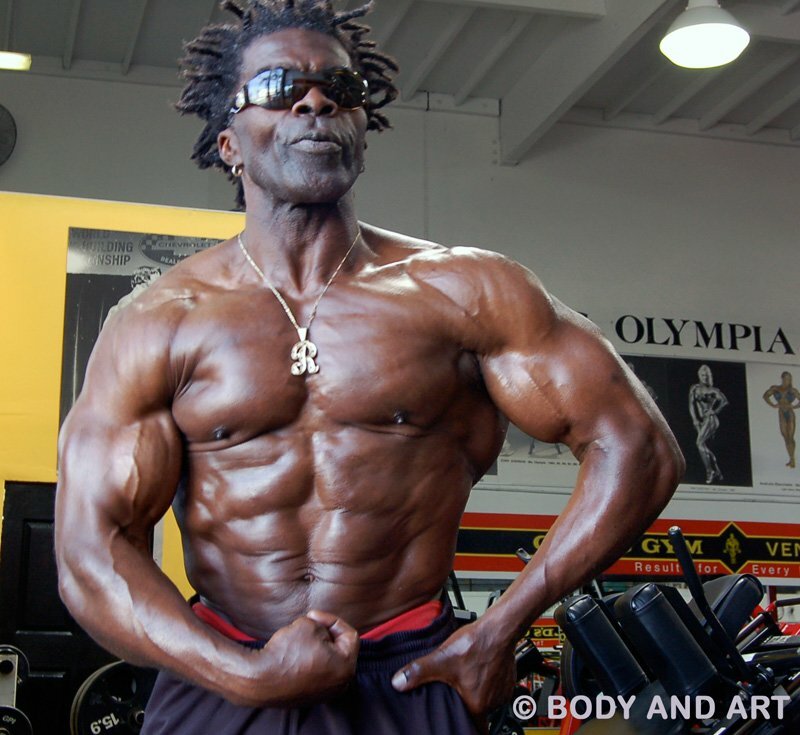 The Black Prince shares his thoughts on nutrition, supplements, motivation and the state of pro bodybuilding in this exclusive Q&A with the Golden Age legend! Robby Robinson earned his fame on the shores of Muscle Beach. He matched Arnold Schwarzenegger rep for rep, pounded stairs with the Golden Age crew, and helped make Gold's Gym a hero's palace. What is the difference between Robinson and his peers from the 1970s? The 65-year old retains his impeccable condition. Robinson's longevity and quest to improve enable him to remain as relevant as ever. He is respected by competitors and athletes across generations. Aspiring bodybuilders and general fitness enthusiasts worldwide covet his form. 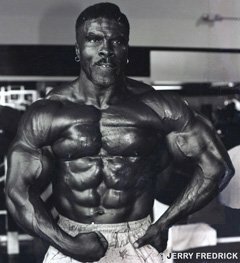 Progressive determination and a willingness to challenge conventional thinking typify Robinson, the Black Prince of bodybuilding. 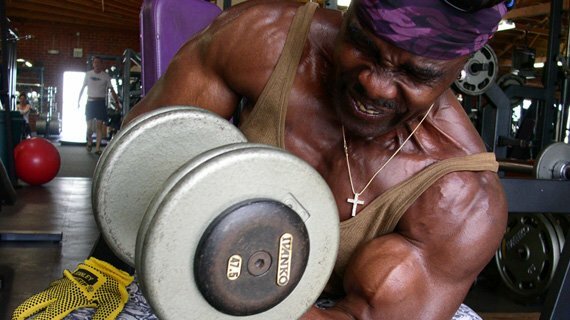 In part two of this Bodybuilding.com interview, the venerate Robinson holds court on his most passionate subjects. You're a big believer in healthy eating. Is nutrition the most important bodybuilding component for you? It is the thing. In observing my own failures - making mistakes as a competitor where one moment I'm ripped and the next my muscles depreciate - I've learned that, if your nutrition is off, everything is off. It has taken me many years to find out what works best for my physique. Around 2001, I got into an accident where I was thrown from a car. I was thrown through the windshield, all 220 pounds, and landed on the right side of my head. Not thinking anything was wrong I went back and started training. During that process I remember getting up one night - because I was getting ready to do a tour in Europe - and, getting out of bed, I reached for the sliding glass door. The next thing I remember I woke up at 2 a.m. in the middle of a grand mal seizure. Following this seizure, I continued to build my body, because I didn't know what was wrong. I had no idea because I had never been sick or injured. Suddenly I was having 4-5 seizures per day. So eventually I was placed in a hospital and, in the process, lost a lot of muscle tissue. I weighed around 215 pounds, and I was in the VA for almost six months. It has taken me 12 years to rebuild my body. And that's all nutrition. I'm even better than I was in 1975. What role did your mental attitude have in helping you to reclaim what you lost? I just kept saying to myself: be patient. There were always going to be setbacks. I would wake up some nights and fall out of bed as a result of my seizures. I went through all these things and, just when I thought I was right, I would have another seizure. The process and one's physical capacities take time to correct the injury. I had to be patient; I had to work on calming myself down. You appear to have an amazing drive to stay on top of your game year after year. I am supposed to be doing another photo shoot soon, so I would like to be in my best shape at all times. For this shoot, I will go in there and begin with something like 325 [pounds] with the goal of deadlifting 600. They [Ironman magazine] want to document it for the record while also pushing the importance of health and fitness. I think it is good for the sport. During what era do you feel you reached your physical peak? When I was based in Europe [Robby lived in Amsterdam for much of the '80s]. I worked there and would come to the United States to compete. I would say I looked my best in the '70s, '80s and early '90s. I enjoyed each of these eras because I kept proving to myself I could get better. 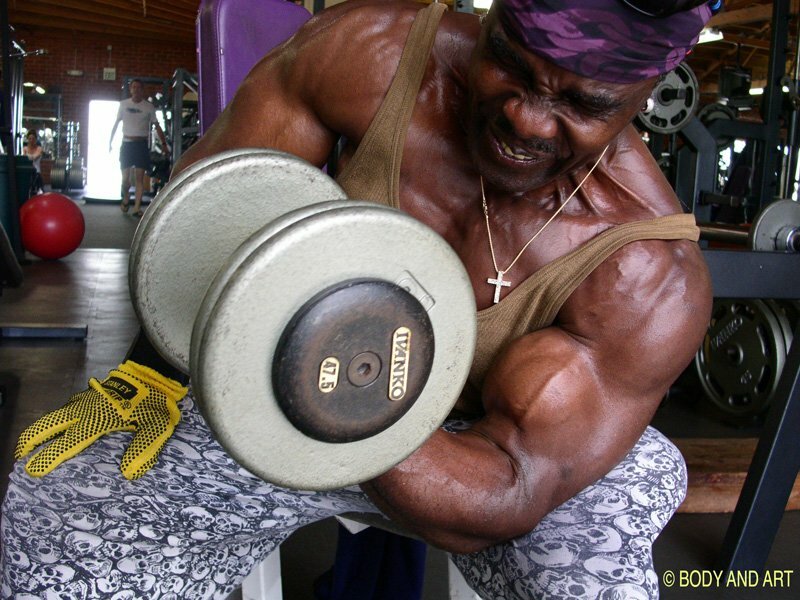 Robinson's bodybuilding career spans 4 decades. He already hit his peak, but Robby never went downhill. I understand you are a big believer in supplementation. I tell anyone, and especially an aging athlete, that supplementation makes all the difference. You have got to become aligned with supplements that will help your body recover. Your body is not going to heal itself as you age; you need some support. What supplements do you personally use to ensure optimal health and bodybuilding success? I created this anabolic pack through Jarrow supplements, and it consists of seven supplements: creatine, glutamine, amino acid recovery, flax seed oil, B vitamin complex, a bone-density formula and vitamin C. I pack this up and send it to clients all over the world and have been doing this for the past seven years. I also understand you recommend the consumption of essential oils. Yes, I think all the essential oils are good. After each meal I use some type of oil. I might use flax seed oil, olive oil, UDO oil, and I also use flax seed granules. I also combine three scoops of yerba mate fiber 3-4 times per day to support prostate health. I really got into a healthier state of mind after my health issues. Do you address your protein needs through a combination of whole foods and supplements? Yes, I do. I have been doing my own research and reading, and have been working with this company called DNA Next. You send them a swab taken from the inside of your mouth and they tell you what is missing in your diet and how you can make your body bigger and stronger. What prompted your retirement, Robby? David, I did not want to come out of bodybuilding ill. I did not want to have any liver or kidney problems, which I see today, but which also happened back then to some degree. I wanted to avoid any health issues. I came out of the sport the way I wanted to: healthy. No kidney, heart, liver, cholesterol problems. I was happy with myself after retiring from competition in 2001 [at age 54]. Another reason was that I didn't see a lot of financial income to be made. Is there a contest you are particularly proud of winning? My second place finish to Rich Gaspari at the Arnold Classic [in 1989]. I remember coming out and all the fans were screaming and hollering. The judges called out Rich and me for the final two places. It was strange to hear 7,000 people, after each of the seven mandatory poses, screaming, "It's yours, Robby." I loved that! I thought that was such a quality moment that coming second didn't matter. The audience gave me the final approval; the judge's decision, well, I couldn't do anything about it. It was a great competition. You looked phenomenal in that contest and many felt you deserved the win. Why do you think Rich eventually pulled ahead? 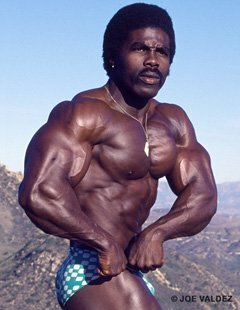 When I first came into bodybuilding in the '70s, there was a lot of discussion about putting blacks on the cover [of bodybuilding magazines]. 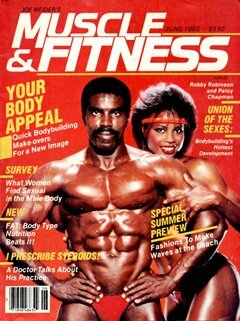 I remember being at the Weider offices and one of the ladies who worked there commented on a cover I was on with Patsy Chapman, where I was standing with my hands on my hips [the June, 1983 edition of Muscle & Fitness]. She whispered, "Robby, come over here. See this cover? This is our best selling cover ever." I thought wow and said, "Well, I thought having blacks on the cover did not sell well (laughs)." I felt proud that she would come over positively and say that to me. And I thought it was such a crowning moment in that it was clear that blacks do sell on the covers. I didn't want to hear that other madness. It was a great moment for me ... I was like a kid in a candy store. Who did you consider to be your toughest fellow professional competitor? I liked Mike [Mentzer] (laughs). Mike was kind of like me, kind of fiery and in your face. And the man didn't care. I really wanted to win our first battle because it was in my home state. There was the whole Robby Robinson against Mike Mentzer, the Weider System against Mentzer's Heavy Duty. After Mike won [the first encounter at the 1979 Florida Pro Invitational], he came up to me and said, "Robby, it was a pleasure to beat you." In those times we both wanted to win so badly. He stood there for a while and I said, "Mike, they gave it to you (laughs)." Not in a nasty way; it was just that we were both so heavily competitive. And you had to say something. He walked away and from that point on I won the next three shows. I loved Mike to death; he was a great guy and one of my favorite competitors. Bodybuilding fans will remember your spot on Pumping Iron. One comment many fans of this movie make, though, is that despite the quality of your physique you were only on screen for a short period. How do you feel about your involvement in Pumping Iron? Do you feel you warranted greater inclusion in this landmark film? Pumping Iron was a great movie. As I said before, I love bodybuilding and working out, going to Gold's Gym and getting a great workout. With the Pumping Iron situation, it boiled down to the fact that you had two incredible physiques: Robby Robinson and Arnold Schwarzenegger. Both of us were Mr. Olympia quality. That's the way I looked at it and I still see it this way today. He [Arnold] was the reigning king of the sport. 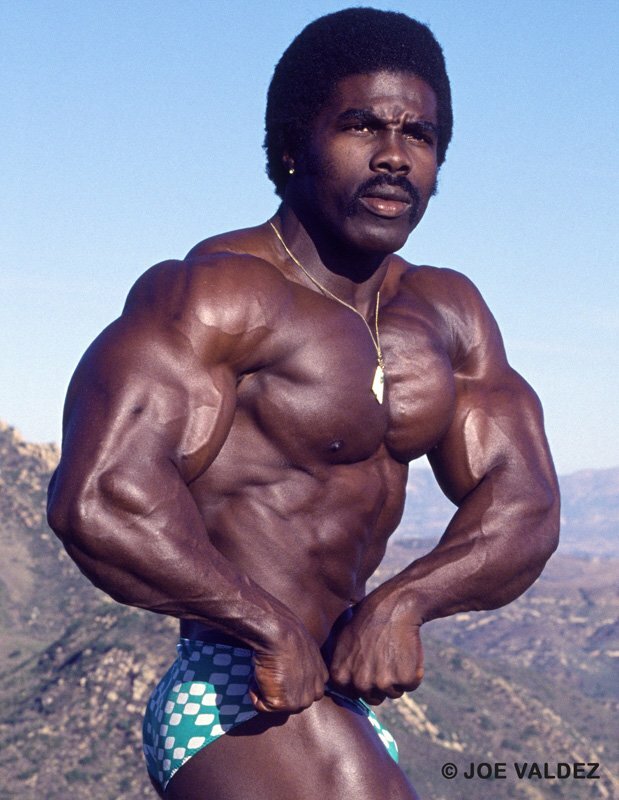 Joe Weider had me come in and pose for that spot [in Pumping Iron]. That created a not-so-good atmosphere and hurt the relationship between me and Arnold and the people who were doing the Pumping Iron movie. At that point, I had an overwhelming physique. When I look back on it, I can see why people have asked about my inclusion, because everybody was like, "What about that black guy back there?" So they wanted to limit my time on the screen so it wouldn't affect the building of his [Arnold's] name. That's how I see it. Because then you would have had to compare my physique with his and they didn't want to go into that. It didn't bother me. I'm kind of a shy person and I consider myself reclusive anyway (laughs). I don't have any bad feelings about it. I loved that movie, though. It was a great contributor to that era, the sport, bodybuilders, and Arnold's rise. Every body is working on its weak ends. From where did your Black Prince moniker originate? Well, I would go to the [Weider] offices and each time I would have made improvements to my physique. So Joe Weider came into the gym one day and said, "I crown thee the Black Prince." And that was it. Then it was in all the magazines and all the fans were saying it. Joe Weider is widely considered to be instrumental to the careers of many IFBB professionals. What are your thoughts on the impact Joe Weider has made? Joe is another incredible person. I think he did a great job putting bodybuilders out there. He gave bodybuilders a platform to shine on, and he made people believe they can get better. He definitely helped me in my career by giving me a chance and putting me on those covers. He didn't have to. Being a publisher, he did take a chance with me. But he believed I could have an effect on people - of my race and others - and help to change their attitudes so they can achieve what they want. Joe Weider is a bodybuilding figure who sometimes polarizes public opinion. People either seem to love him or love to hate him. He has done a tremendous job. 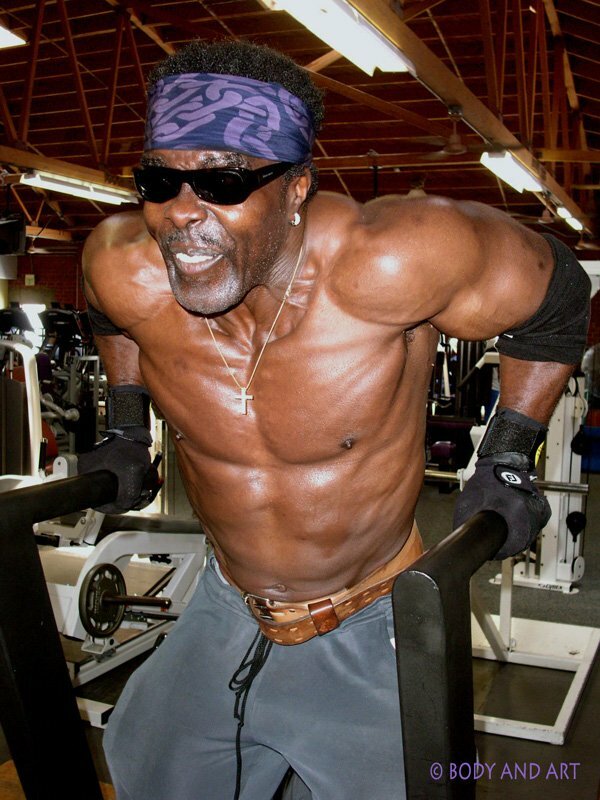 Everybody says to me, "Well, why didn't Joe Weider give you a contract?" Maybe this wasn't what I needed at that time; maybe he wasn't in a position to do that. The fact remains that he made an impact by promoting me and making a positive statement. Almost every time Robby Robinson and Joe Weider are mentioned in the same sentence, the subject of him appropriating your image comes up. What are your thoughts on Joe Weider using your physical likeness to build the now infamous statue which bears his facial resemblance? It's hard to really speak out about it, to go in there and make blame and point fingers at people. Sometimes you give a little bit and not take; sometimes you give a bit of that good part of your life and good things happen down the road. Maybe that is my case. Things tend to turn around and some great things have happened. You kind of have to roll with it. It put me out there, but at the same time it had a tremendous effect on my worldwide notoriety. I was also able to work in Europe, at some points for 3-4 years at a time. And I attribute that to being well-known, being in all those advertisements. Nobody gets any money for all of this, but being in the public arena helped me become successful later on in life, after leaving bodybuilding. 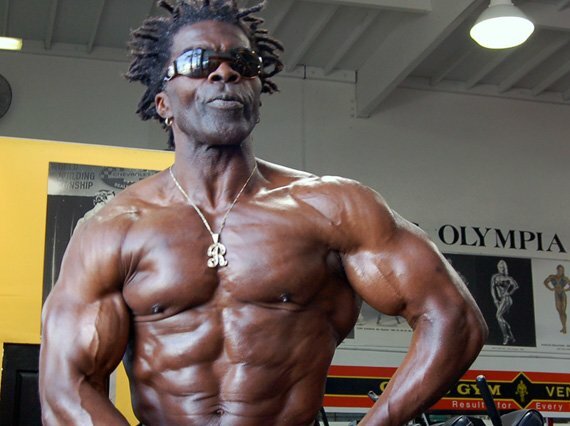 What are your thoughts on the current state of professional bodybuilding? I think there is an emphasis on "bigger is better," and I don't think a beautiful physique should have a distended stomach. I think you can better appreciate a tight, toned physique. It is more acceptable and achievable. The guys of today? I don't think so. They are overdoing what they are doing. I think they should work more on balancing their physiques to bring them back to what beautiful bodybuilding is really about: beautiful bodies. No disrespect to them: They have to get bigger because it's demanded that they get bigger. At the same time, there are some pros who have that beautiful shape. Phil Heath, he has the kind of physique that should be out there; he has a beautiful physique. I would want to look like that. If I came back as a bodybuilder, I'd want to achieve that. I would have to work a bit harder, but I would rather go after someone like Phil Heath's physique than Kai Greene. I really like Kai Greene's physique, but I think once you get into that distended stomach thing, it's not what bodybuilding is all about. It is about beauty, shape, symmetry, style and contrast. It should be a picture. Barbells and dumbbells are paintbrushes. That's what you want to do: You want to paint your physique, like you are a canvas. That's what I see when I see Phil Heath. There are many bodybuilding fans who would love bodybuilding to return to its '70s roots, where the pro game was emerging on a greater scale and the physiques were more balanced. Yes, I get comments from people all over the world, all the time about this. People say, "Robby, thanks for bringing bodybuilding to the masses and making it something people can aspire to. I can appreciate that and would like to look like that." That's exactly what people want: a physique they can achieve. It is difficult to achieve the physiques you see on stage now. You have played a major role helping promote and support professional bodybuilding and many fans feel you are one of the all-time greats. How would you like to be remembered? I have never thought about it. I think people appreciate my physique. I get a lot of positive comments through my email, on Facebook, and on my blog. People are thanking me and that's enough for me, really; I am really comfortable with myself. I appreciate my fans and their feedback. 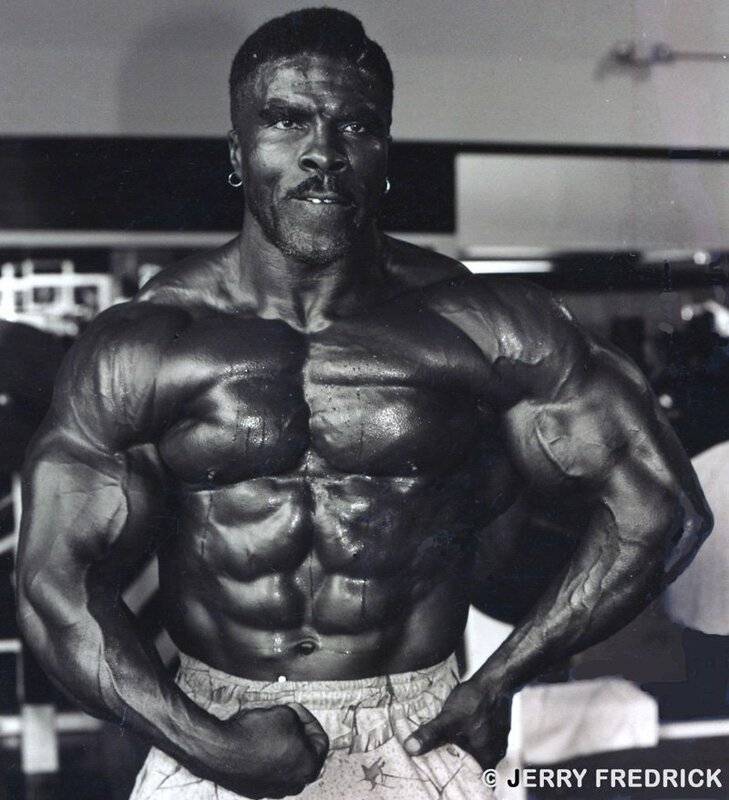 Check back soon for part three of this exclusive interview: Robby discusses the 1994 Masters Mr. Olympia, his secrets for getting ripped pre-contest, and how he built size in the offseason. He details posing techniques and explains how "Robby the competitor" differs from "Robby the man."